Struggle da Preacher started out his career as a rapper back in 2003 which led him to many different fields: from a web designer to a movie maker. He has released 3 studio albums (2005, 2008, 2014) and a number of mixtapes and singles. He has worked with the likes of Yukmouth (Luniz), Young Noble (Outlawz), Bizarre (D12) and dozens of various artists worldwide from Australia to Russia to France etc. In March 2018 he shot a short movie “Words Can’t Describe” in which he also starred and which is due out in 2019 as well. Besides being in front of the camera, Struggle spends a lot of time behind the camera, shooting, editing and color grading videos for various people and organizations. 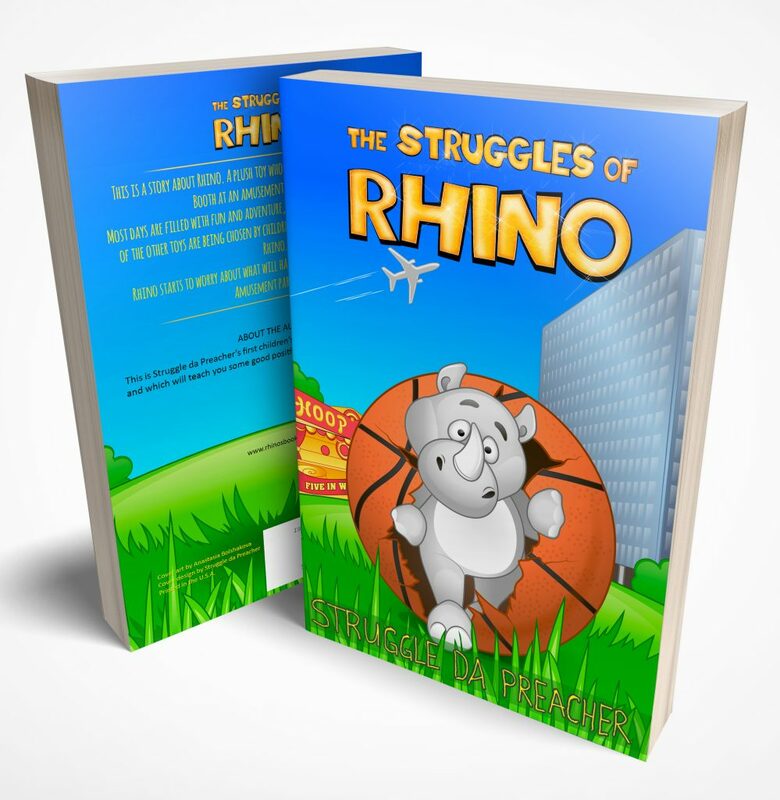 In November 2018 Struggle da Preacher published a children’s book “The Struggles Of Rhino”. Books "The Struggles Of Rhino"
Most days are filled with fun and adventure, but there’s a problem: it seems like all of the other toys are being chosen by children and no one seems to even look at Rhino.